To succeed, you should always stay one step ahead of your competitors. That’s why our today’s topic is eCommerce competitive analysis. This is the thing that is essential for your online business’ progress. Why is eCommerce competitive analysis important? What is the core part of any successful dropshipping venture? It has a huge importance for any sort of business. But in dropshipping, it’s your bread and butter. If you don’t have a good marketing strategy, your competitors will easily edge you out. Standing out from the crowd must be your number-one goal. Thus, you should know your strengths to show them off and your weaknesses to work on them. Unless you have some supernatural power, the only way to show up your strong and weak points is to compare your online store to the rival ones. In other words, you need an eCommerce competitive analysis. Now, you see how crucial eCommerce competitive analysis is! Of course, before starting your competitive analysis, you need to know the ins and outs of the process: what to start with and how to use what you’re going to get. Let’s outline your actions step by step. Imagine yourself being the head of some huge company – Microsoft, for example. It would be awesome, right? Not only due to money, but also because there would be no need to for you dig deep tracking down your rivals. There would only be a couple of companies like your one – you would know them by heart. Now, get your head out of the clouds, and think about your actual business. There is plenty of online stores similar to your shop and a lot more are about to turn up. Can you list them all? Hardly, I suppose. However, you’ll be able to do so after a while. There are some tools that can help you easily find your rivals. When you were choosing your dropshipping niche, you had to pick your keywords. 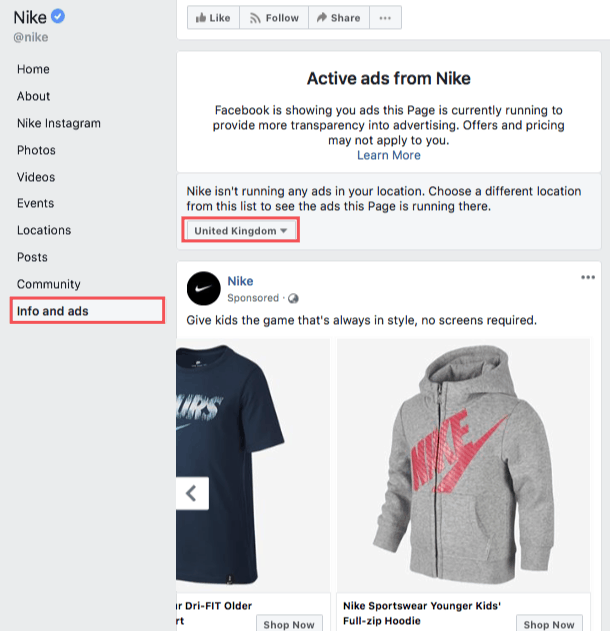 Now, you can use them to track your competitors down. Just type these keywords in Google search field and go through the results. This is how you’ll see the most successful of your rivals. Amazon and eBay are two huge retail marketplaces which millions of people visit every day to make their purchases. So, it’s a good idea to find Amazon and eBay sellers who took the same niche as you did. 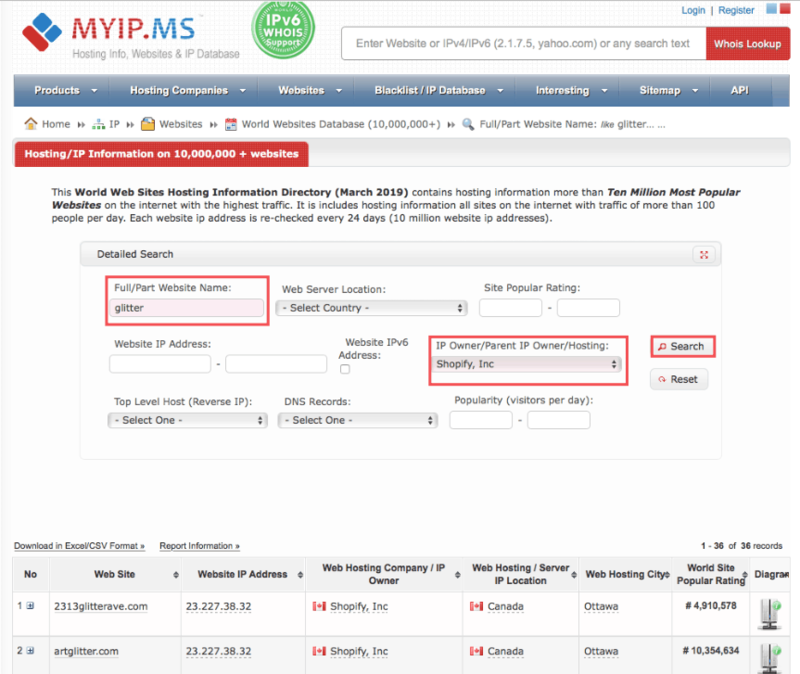 This marketing tool helps you identify websites and pages ranking for specific keywords. 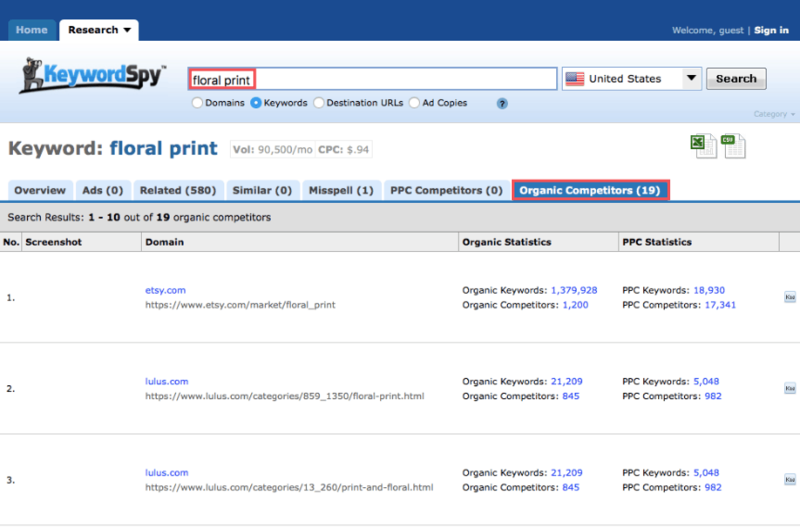 Just type your keywords in the search field, then click on the “Organic Competitors” tab. That’s all! You’ll see the list of your ten top competitors as it’s shown in the picture below. You can see more of them if you upgrade to the paid account. Yet, ten is quite enough. You could have a hunch that many of your rivals use Shopify as a platform for their eCommerce shops. Well, we have some good news for you. Unlike WordPress-based stores, all of them could be easily found in a couple of clicks. We describe the process of tracking them down in detail in this article. Now, when you have the list of your competitors, you can start your eCommerce analysis. The first thing you should do is conduct a general research of the rival websites. These simple steps are going to help you reveal your weak and strong points in comparison to your rivals, and come up with new ideas for your online store. For instance, Amazon and eBay can provide you with some appealing pictures and descriptions for your products. Plus, you can see an average products price level there. Through visiting your competitors’ websites, you can find the ideas of new products to sell. By the way, here is a trick that will help you discover your rivals’ bestsellers. We’ve mentioned this lifehack in one of our articles. But let’s do it again. On the main page of a Shopify-based online store, just add “/collections/all?sort_by=best-selling” to the website’s URL address. Press Enter button. Now, you see which of their products are sold most often! Your online store might be perfectly customized and have great product pages with outstanding pictures and appealing descriptions. But, you still can’t get the better of your rivals. SEO. Their online stores are just more SEO-friendly. Customers naturally come across them while searching for the necessary items on the Internet. This fact makes the SEO research vital for your success. We’ve already mentioned KeywordSpy and the other tools which help you find your competitors. Now, it’s time to tell you about the other ones that are helpful for SEO analysis. It won’t be big news if I say that search engine optimization is a really complex topic. There are a lot of things to learn about. I won’t torture you by rambling on about the whole thing. Now, it’s enough to make a brief report about “Domain authority”. In short, it’s a measurement of how well a site will rank on search engine result page. The score ranges from 0 to 100. The calculation is a complicated process mainly depending on the number and the quality of other domains leading to this particular one. To push up your domain authority, you need to do link building. The point is, the higher is the score, the better your store rankings will be. 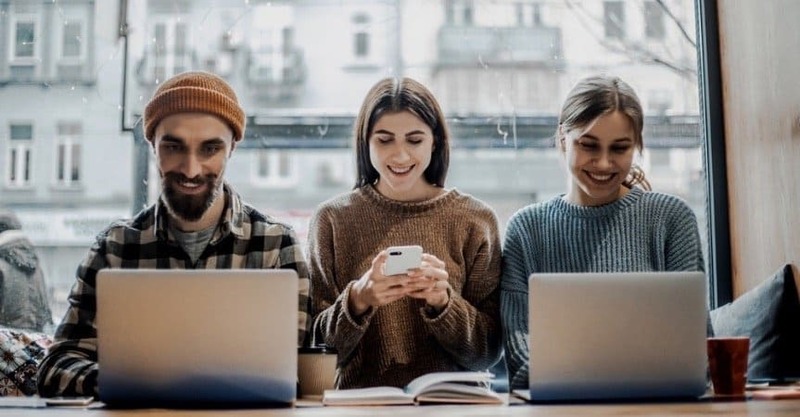 In terms of SEO, you can only compete with the websites that have a lower score than you do – or, at least, an identical one. Otherwise, it doesn’t make sense. How to figure it out? 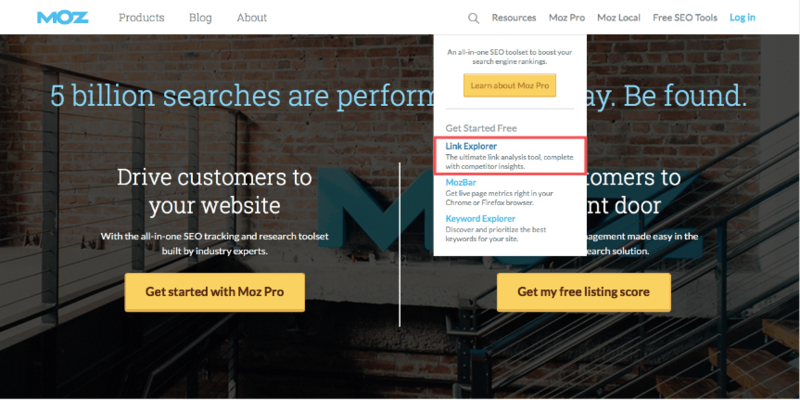 Go to moz.com, click on “Moz Pro” tab, then go to “Link Explorer”. Then, in the search field, type the URL address and press the Enter button. That’s all – you’ve got it. Now you can weed out the rivals whose domain authority is too high to compete with. Fortunately, there is a tool that can give you a hand in doing more comprehensive analysis. It’s Internet Marketing Ninjas. For instance, you have two similar product pages – yours and your rival one. If you want to know why your competitor’s page ranks better, this tool is going to help you out. Go to the SEO Tools tab on the website. 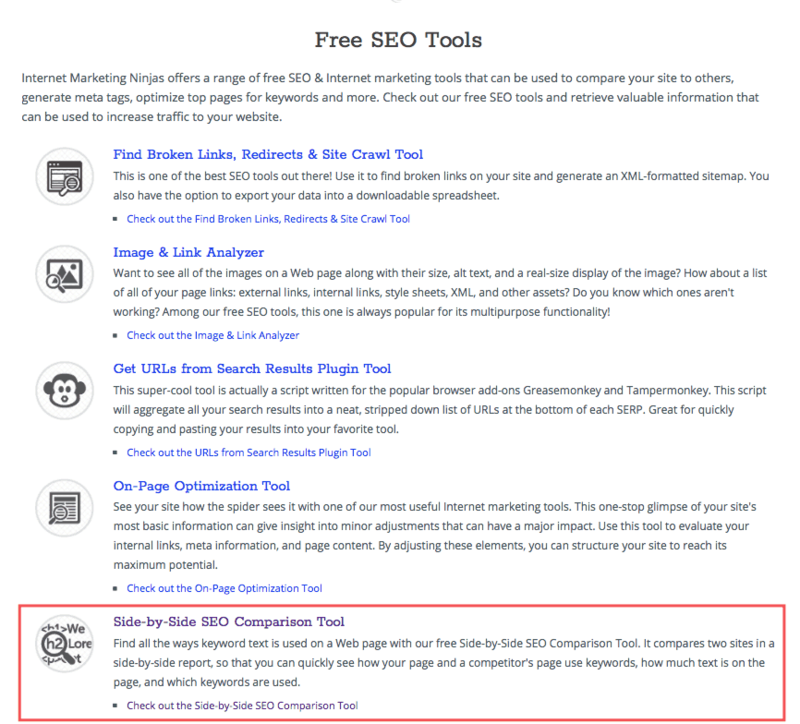 There, find “Side-by-Side SEO Comparison Tool” and click on it. In the new window, you’ll see the search field on your left. There, you need to type your product page’s URL and the address of your competitor’s product page. On the results page, we will see lots of comparison tables that explain how these two pages differ. It will help us see how to improve our page rankings, and proceed with SEO optimization. The audience of social networks is billions of people. And it’s constantly growing. Not surprisingly, social media promotion is a crucial part of digital marketing. Today, it’s a must for all companies to have the accounts on Facebook, Instagram, Twitter, etc. There, they can easily target customers depending on their interests and locations. Obviously, your competitors run promotional campaigns on these platforms. So do you, don’t you? Thus, the next step of your eCommerce competitive analysis is the social media research. Since you know your rivals, it’s not a big problem. Usually, at the bottom of their main pages, there are the icons leading to their social media accounts. Click on them one by one and learn about the ways your rivals use to promote their goods. Let’s take Facebook as an example. In the left part of a company page, you can see the “Info and ads” tab. Click on it, choose the location and enjoy. Explore your rival ideas and generate your own ones. Now you’ve got the know-how to conduct the competitive research. It’s time to put it into practice. If you know what to do and have all the necessary tools, it’s not too hard to pick up on the things you should change, improve or continue doing. However, keep it in mind that competitive analysis is not a one-time task. 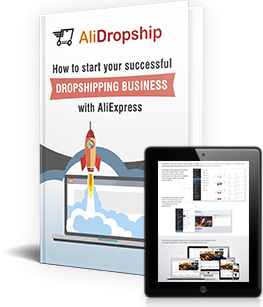 You need to do it regularly to make your dropshipping business go from strength to strength. 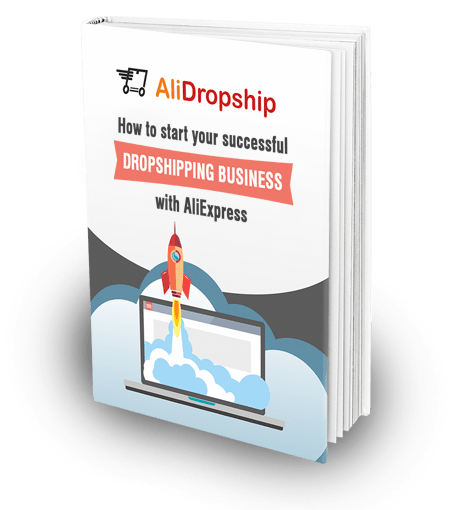 We hope this article will be useful and helpful to everyone who wants to bring their dropshipping business to a new level. If you have some questions about the eCommerce competitive analysis, feel free to leave your comments in the section below. Andrey has just joined AliDropship team. He’s exploring dropshipping business from the very beginning. And, he’s going to share with you the most essential things newcomers need to know.